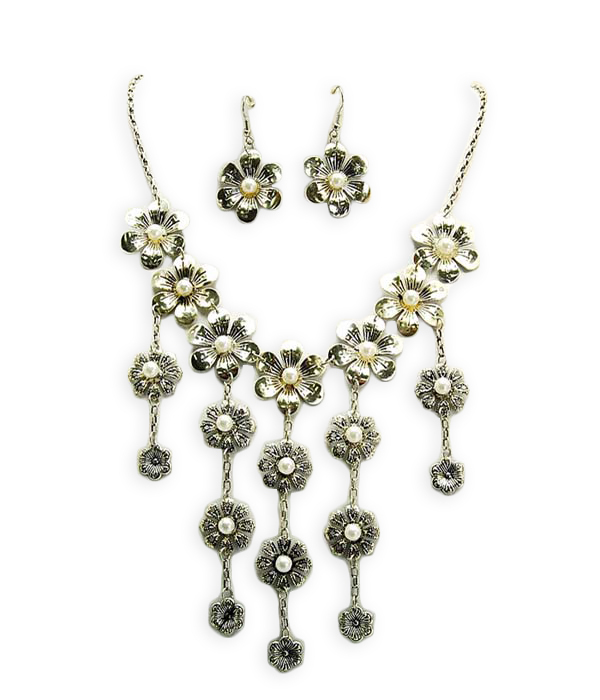 Beautiful silver plated flowers with a faux pearl in the center make Jacinta set truly romantic. The necklace features five pending details with two flowers on a long chain. The matching floral earrings. Great value, high quality and popularity all combine to make this necklace a 'must have' item!